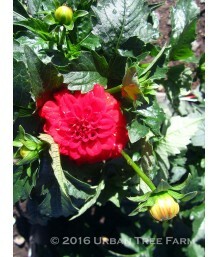 Informal Decorative DahliaDeciduous perennial. Fleshy dark green divided leaflets on strong, upright.. 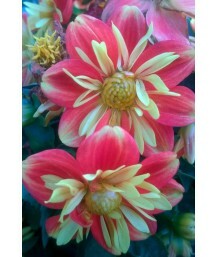 Informal Decorative DahliaDeciduous perennial. Fleshy green divided leaflets on strong, upright stem.. 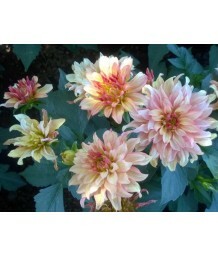 Informal Decorative DahliaDeciduous perennial. Fleshy deep bronze divided leaflets on strong, uprigh.. 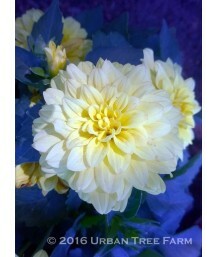 Informal Decorative DahliaDeciduous perennial. Fleshy deep dark brown divided leaflets on strong, up.. 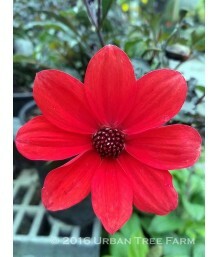 Single Flowered DahliaDeciduous perennial. Fleshy dark purplish-red divided leaflets on strong, upri.. 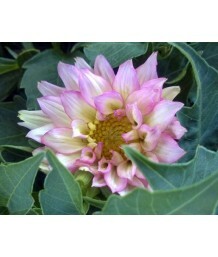 Informal Decorative DahliaDeciduous perennial. Fleshy black-green divided leaflets on strong, uprigh..
DahliaDeciduous perennial. Fleshy green divided leaflets on strong, upright stems. 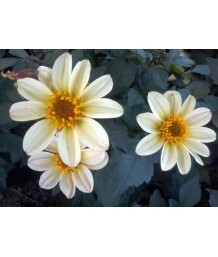 Showy bright whit..
DahliaDeciduous perennial. Fleshy green divided leaflets on strong, upright stems. 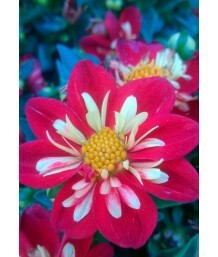 Showy red and whi.. 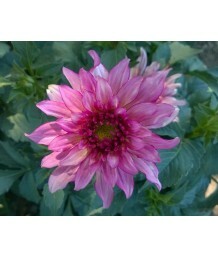 Single Flowered DahliaDeciduous perennial. Part of the Mystic¢ series. Fleshy purple-black divided .. Single Flowered DahliaDeciduous perennial. Fleshy deep dark brown divided leaflets on strong, uprigh..
White Trailing IceplantEvergreen perennial. Hardy succulent makes low mats of small green fleshy fol..
Purple Trailing IceplantEvergreen perennial. 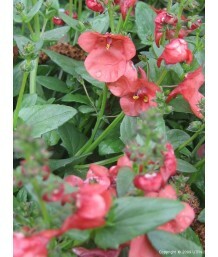 Hardy succulent makes low mats of small green fleshy fo..
Red Trailing IceplantEvergreen perennial. Hardy succulent makes low mats of small green fleshy folia..
IceplantEvergreen perennial. Hardy succulent makes tight cushions of small bright green fleshy folia..
Mesa Verde IceplantEvergreen perennial. Hardy succulent makes low mats of small green fleshy foliage..
IceplantEvergreen perennial. 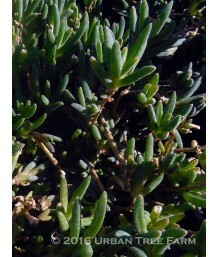 Hardy succulent makes low mats of small green fleshy foliage. Covered i..
Pacific Giant DelphiniumDeciduous perennial. Low, bushy plants with lacy leaves. Loose spikes of dee..
Chinese or Bouquet DelphiniumDeciduous perennial. Low, bushy plants with lacy leaves. Loose spikes o..
DelphiniumDeciduous perennial. Low, bushy plants with lacy leaves. 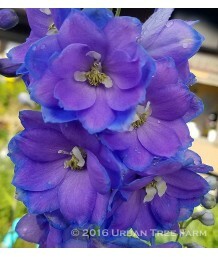 Loose spikes of deep blue flowers..
DelphiniumDeciduous perennial. Low, bushy plants with lacy leaves. Loose spikes of dark blue flowers..
DelphiniumDeciduous perennial. Low, bushy plants with lacy leaves. Loose spikes of semi-double lilac..
DelphiniumDeciduous perennial. Low, bushy plants with lacy leaves. 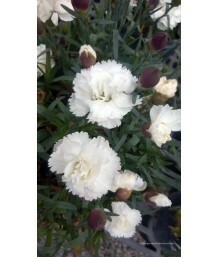 Loose spikes of mixed white, ligh..
DelphiniumDeciduous perennial. Low, bushy plants with lacy leaves. 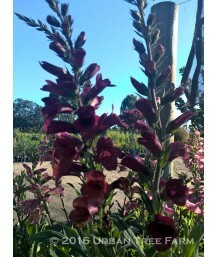 Loose spikes of lilac-pink flower..
Paroo/Flax LilyEvergreen to semi-evergreen perennial. Strappy, grass-like blue-green leaves form slo..
Baby Bliss Flax LilyEvergreen to semi-evergreen perennial. Strappy, grass-like blue-green leaves for..
Silver Streak Flax LilyEvergreen to semi-evergreen perennial. 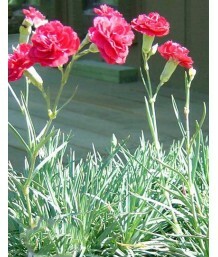 Strappy, grass-like gray-green leaves ..
Variegated Flax LilyEvergreen to semi-evergreen perennial. Strappy, grass-like gray-green leaves hav.. 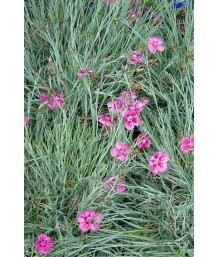 Sand PinkEvergreen perennial. Blue-green strappy leaves on branching stems form compact mounds. In s..
Interspecific DianthusEvergreen perennial. 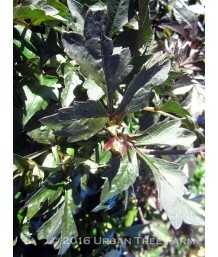 Narrow, dark green leaves. 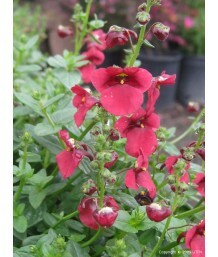 Bright, cherry-red, single, fr..
Interspecific DianthusEvergreen perennial. Narrow, dark green leaves. 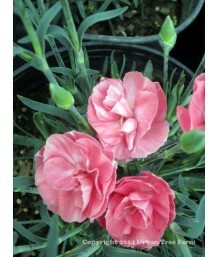 Soft-pink, single, fragrant fl..
Carnation/Clove PinkEvergreen perennial. Blue-green strappy leaves on branching stems form upright m..
Maiden PinkEvergreen perennial. Low flat mat of fine green foliage makes a tidy groundcover. 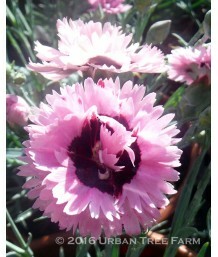 In summ..
Cheddar PinkEvergreen perennial. Low flat mat of fine blue-gray foliage makes a tidy groundcover. In.. Creeping Dwarf DianthusEvergreen perennial. Dense mats of small bright green leaves. 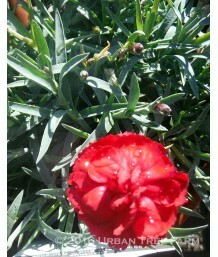 Single, dark pi..
HybridEvergreen perennial. Gray-green strappy leaves on branching stems form compact mounds. 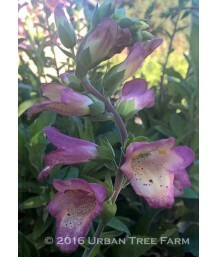 In summ..
HybridEvergreen perennial. Blue-green strappy leaves on branching stems form compact mounds. 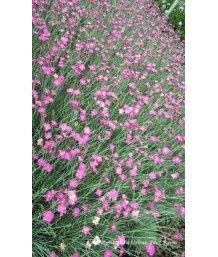 In spri..
Cheddar PinkEvergreen perennial. Blue-green strappy leaves on branching stems form compact mounds. 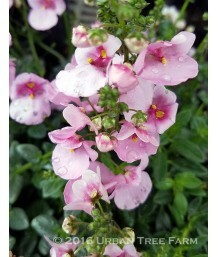 I..
Maiden PinkEvergreen perennial. Blue-green strappy leaves on branching stems form compact mounds. 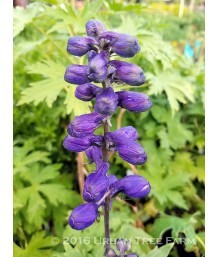 In..
HybridEvergreen perennial. Gray-green strappy leaves on branching stems form compact mounds. In spri..
TwinspurEvergreen perennial. Delicate, heart-shaped leaves on a loose mounding plant. Many soft pink..
TwinspurEvergreen perennial. Delicate, heart-shaped leaves on a loose mounding plant. Many salmon pi..
TwinspurEvergreen perennial. Delicate, heart-shaped leaves on a loose mounding plant. Many soft rose..
TwinspurEvergreen perennial. Delicate, heart-shaped leaves on a loose mounding plant. Many apricot o..
TwinspurEvergreen perennial. Delicate, heart-shaped leaves on a loose mounding plant. 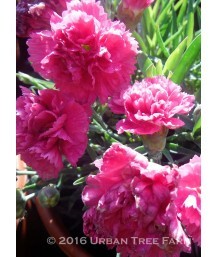 Many magenta-r..
TwinspurEvergreen perennial. Delicate, heart-shaped leaves on a loose mounding plant. Many rose-red ..
TwinspurEvergreen perennial. Delicate, heart-shaped leaves on a loose mounding plant. Many bright pr..
TwinspurEvergreen perennial. Delicate, heart-shaped leaves on a loose mounding plant. Many rich oran..
TwinspurEvergreen perennial. Delicate, heart-shaped leaves on a loose mounding plant. 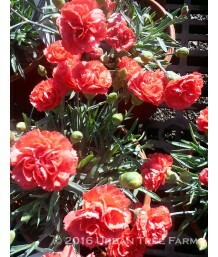 Many red tubul..
TwinspurEvergreen perennial. Delicate, heart-shaped leaves on a loose mounding plant. Many violet-bl..
TwinspurEvergreen perennial. Delicate, heart-shaped leaves on a loose mounding plant. Many dark red ..
TwinspurEvergreen perennial. Delicate, heart-shaped leaves on a loose mounding plant. 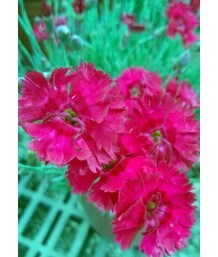 Many salmon-pi..
TwinspurEvergreen perennial. Delicate, heart-shaped leaves on a loose mounding plant. Many white tub..
TwinspurEvergreen perennial. Delicate, heart-shaped leaves on a loose mounding plant. Many burgundy ..
TwinspurEvergreen perennial. Delicate, heart-shaped leaves on a loose mounding plant. 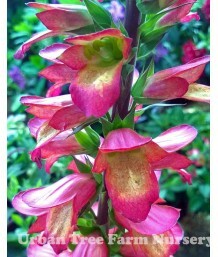 Many peach-col..
TwinspurEvergreen perennial. Delicate, heart-shaped leaves on a loose mounding plant. Many rose-mauv..
Fringed Bleeding HeartDeciduous Perennial. Light green, fernlike foliage emerges in early spring. Un..
Western Bleeding HeartDeciduous perennial. Blue-green, fernlike foliage emerges in early spring on t.. Bleeding HeartDeciduous Perennial. Light green, fernlike foliage emerges in early spring. Delicate, .. Bleeding HeartDeciduous perennial. Blue-green, fernlike foliage emerges in early spring. 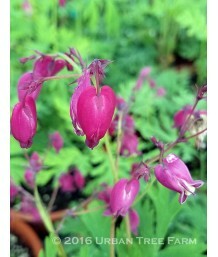 Delicate, s..
Common Bleeding HeartDeciduous Perennial. Light green, fernlike foliage emerges in early spring. 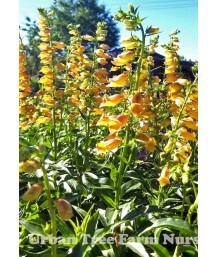 Del..
White Bleeding HeartDeciduous Perennial. Light green, fernlike foliage emerges in early spring. 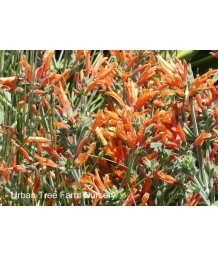 Deli..
Firecracker PlantDeciduous perennial. Evergreen only in mild climates. Fuzzy gray-green oval leaves ..
Fairy WandEvergreen perennial. Two foot grass-like leaves form clumps. 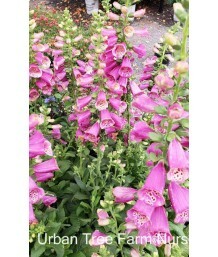 Delicate, long, arching stems..
FoxgloveEvergreen perennial. Deciduous where colder. Rosettes of attractive, large fuzzy green leave..
FoxgloveEvergreen perennial. Deciduous where colder. 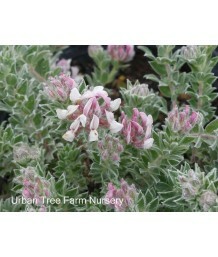 Clumps of attractive, fuzzy grey-green leaves m..
Shrubby FoxgloveEvergreen perennial. Deciduous where colder. Narrow, smooth green leaves on compact .. 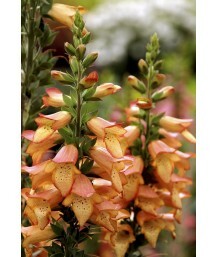 Hybrid FoxgloveEvergreen perennial. Deciduous where colder. 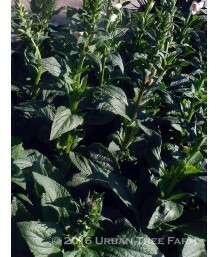 Narrow, smooth green leaves on compact p..
FoxgloveEvergreen perennial. Deciduous where colder. Clumps of attractive, large fuzzy grey-green le..
FoxgloveEvergreen perennial. Deciduous where colder. 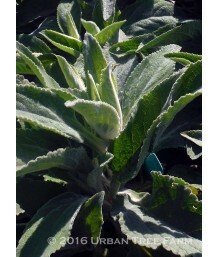 Clumps of attractive, large fuzzy green leaves ..
Mullein FoxgloveEvergreen perennial. Deciduous where colder. Clumps of attractive, fuzzy grey-green ..
Helen of Troy FoxgloveEvergreen perennial. Deciduous where colder. 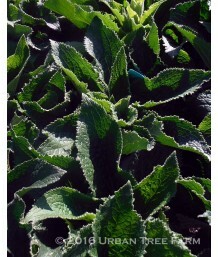 Deep green, fuzzy foliage form at..
Hairy Canary CloverEvergreen perennial. Dense, furry gray-white leaves divided into 3 leaflets. Crea..
Cliff LettuceTender perennial. Better in mild winter areas. Native to coastal California, this succu..
Mini GazaniaTender perennial. Narrow leaves with silvery edges form a tight low groundcover. In summ..